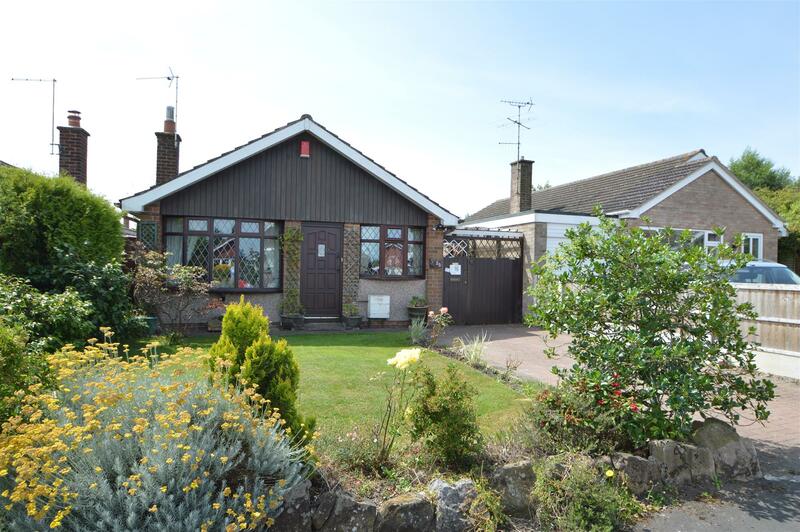 Benjamins are pleased to offer for sale this two bedroom detached bungalow, in the much sought after village of Keyworth. Offering someone the ideal opportunity to upgrade and refurbish a property to their own taste and make into their ideal home. The property is situated in to the rear of a popular cul-de-sac location within easy walking distance of local village amenities and regular bus services to Nottingham city centre and has the benefit of an enclosed rear garden, off road parking and garage. It is recognised that some work is needed to bring the property up to standard and this has been reflected in the price. With wooden external door, internal doors to the kitchen and lounge. With stainless steel 1 1/2 bowl sink unit with drawers and shelves beneath, wall and floor mounted cupboards with work surface over. Ideal central heating boiler, radiator, space cooker, plumbing for washing machine, additional area for small table and chairs, window to front and side aspect, side door to outside. With central ceiling light, gas fire with tiled hearth and surround, two radiators, TV Ariel point, door to inner hall and large bow window to the front aspect. 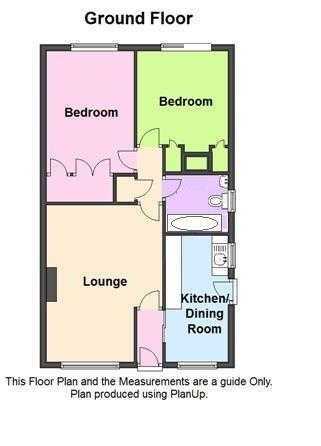 With loft access, cupboard, doors off to bedrooms and bathroom. With radiator, storage cupboard containing water tank, built in wardrobe, window to the rear aspect. With built in wardrobe and drawer unit, two radiators and patio door. With up and over door, electrics and lighting. The front garden has a lawned area. The larger rear garden is enclosed by a timber fencing. It is mainly laid to lawn with planted borders, mature shrubs and fruit tree, greenhouse. The Council Tax valuation list shows this property to be in Council Tax band C.
On entering Keyworth from Nottingham and through Plumtree take a left turn onto Nicker Hill and then first right onto Wolds Drive. Continue along Wolds Drive passing the parade of shops on the left hand side and then take the second turning left onto Beech Avenue. Turn right onto Ash Grove and you will find the property on the left hand side, towards the end of the cul- de sac. The property is number 25. Keyworth is a very popular residential village situated some 7 miles to the south of Nottingham and is served by good amenities including shops, schools, medical centre, sports facilities and public transport services. It offers quick and easy access by car to Nottingham, Leicester, the M1 and Nottingham East Midlands Airport.